With Oxford English Dictionary Online discover the meaning, history and pronunciation of over 500,000 words. View the 'Oxford English Dictionary Online: A Short Guide' video. Discover English and foreign language dictionaries with Oxford Dictionaries. English: Need help with your writing skills? Discover definitions and practical advice on grammar, spelling and usage. Language dictionaries - Arabic, Chinese, French, German, Italian, Russian and Spanish including translations, example sentences and useful phrases. 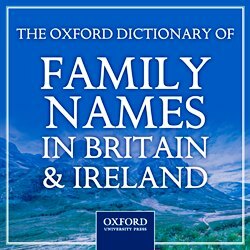 This authoritative guide also includes an introductory essay explaining the historical background, formation, and typology of surnames and a guide to surnames research and family history research. Additional material also includes a list of published and unpublished lists of surnames from the Middle Ages to the present day. Find 50,000 biographies of people who shaped history with the Oxford Dictionary of National Biography . View the 'Oxford Dictionary of National Biography: A Short Guide' video. Find information or explore your favourite topic with Britannica Online. For students aged 6 - 14 years, older students and adults.View the Britannica Library Guided Tour PDF. Search The John Johnson Collection, an archive of printed ephemera from from everyday life in Britain in the eighteenth, nineteenth and early twentieth centuries. Categories include Nineteenth-Century Entertainment, the Booktrade, Popular Prints, Crimes, Murders and Executions, and Advertising. Oxford Art Online for aspects of visual arts worldwide with 'Grove Art Online', 'Benezit Dictionary of Artists', 'The Concise Oxford Dictionary of Art Terms', 'The Oxford Companion to Western Art' and 'Encyclopedia of Aesthetics'. View the 'Oxford Art Online Guided Tour' video. Every article on Oxford Bibliographies is a respected guide to current thinking in that area, written and reviewed by experts, and with original commentary and annotations. The Victorian Literature module includes annotated bibliographies on over 100 topics including Gender, Charles Dickens, Race, and many more. In the British and Irish Literature module you’ll find over 100 bibliographies, including topics such as Arthurian Literature, John Keats, and Christopher Marlowe. You are required to add an additional 'TH' prefix to your login. Oxford Music Online, the world's premier authority on all aspects of music. With over 60,000 articles written by over 6,000 music scholars, it is the authoritative resource for music research charting the diverse history and cultures of music and musicians from around the globe. Oxford Reference Online brings together 2 million digitized entries across Oxford’s Dictionaries, Companions and Encyclopedias, spanning 25 different subject areas. 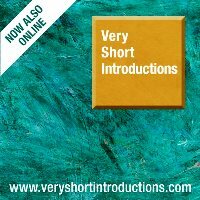 Very Short Introductions are the perfect way to become an expert in a new subject, fast. With this online resource, you can search across several titles at once, consider study options, embark on a new topic, or revise a topic with ease.